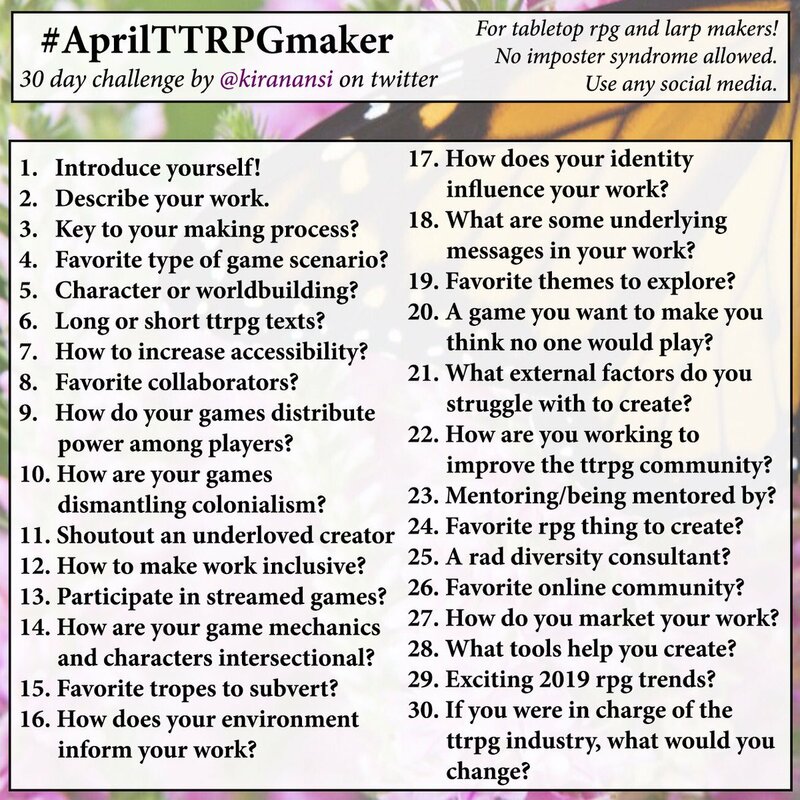 #9: I tend to write games that are either GM-less/GM-ful, or put a heavier load of narrative control/responsibility on the players compared to the GM. That said, I do notice when I run games, I tend to do most of the narration, which is something I would like to train myself out of. #10: I’d be very cautious about saying that my games dismantle colonialism. I’m a white creator from a colonizer heritage, so I don’t think I have the perspective to identify myself as writing decolonizing games. I’m much more comfortable saying that my games represent queerness well. #11: I probably shout out/retweet Quinn Murphy about once every 2 weeks or so, and will keep doing so until he gets the recognition he deserves.